Opinion: Suarez, Rodriguez vs Samardzija and a growing powerhouse…. How long has it been since the San Francisco Giants had players come out of the farm and perform like Andrew Suarez and Derek Rodriguez? You could argue Panik in 2014. Duffy before that. We let go of powerhouse Adam Duvall for a rental in Mike Leake. Christian Arroyo, who I interviewed in Scottsdale, went away with the Longoria trade. And despite how bummed I was, I know that the Giants core is aging, yet still very ripe. Before diving into the argument in the header, let’s take a look at the untouchable core and how things have transpired. I will also say that I do not buy into the whole “The SF Giants are on borrowed time and if they can just hang around .500, maybe they make a run”. No, no, no. This is a proven core, with rings and they aren’t old. Mariano Rivera? The Red Sox of 2004. They played at a high level for a long time. I know we act like it’s a young mans game, but in reality, it’s a smart mans game. Youngsters in the league will come back to earth after the rest of the league has a book on ’em. This Giants club, as I will explain, is in it’s prime. Let’s start with the homegrown core. Really comprised of Brandon Crawford (All-Star, WS Champion SS), Brandon Belt (WS Champion, most underrated 1st basemen), Madison Bumgarner (legend, future HOF, ….everything you can think of), and Buster Posey (legend, future HOF, and everything else you can think of). Ok maybe you can put Joe Panik in there. I love him and I want him to be our everyday second baseman, but the back problems are worrying. Especially at his young age. You can stack that core up against any other core in the league. That’s a 4–1 win for the Giants. Now you look at the position player additions. Most notably Andrew McCutchen and Evan Longoria (Injured at the moment, but he showed us all what he can do for the club when healthy). I’m a huge fan of both moves. These additions completely changed the dynamic of the team, and it addressed the imminent reality that the aforementioned homegrown core isn’t getting younger. 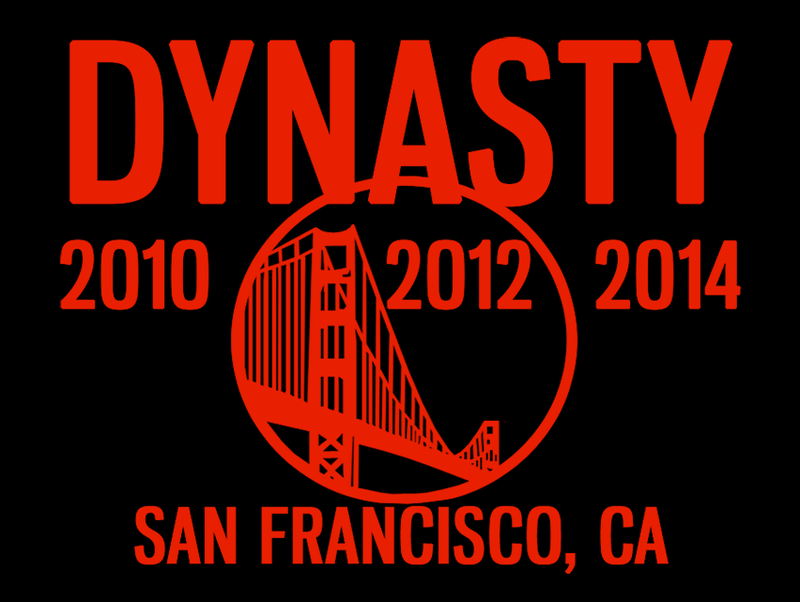 The time to cement the San Francisco Dynasty of the 2010’s is now and 2019. Now you add the move to bring up Steven Duggar up, and think about how clutch our old friend Pablo Sandoval has been. This kid Alen Hanson is out there stealing home base and you’ve got a ball club! Gorkys Hernandez is launching jacks! So the every day players, especially when Longo gets back is as good as anyone. Especially that infield. In my opinion, overall, when you look at it from an eagle eye, there is nobody better. Nobody has a definite heads up on the Giants when it comes to their infield. Then it was our legendary pitching that began to falter, and two kids stood up when we needed them most. Andrew Suarez and Derek Rodriguez. Both of whom, take the mound to win. Not to stretch out. Not to see if maybe their rehab assignment was okay. NO. Those kids are out there playing for their lives and pitching with ice in their veins. They are fun to root for, pitch elegantly, and there is something relatable about the two of them. I played hockey growing up so technically I’m a jock, but I cannot relate to 6'5 235 pound pitchers who played both football and baseball at Notre freakin’ Dame. Jeff Samardzija. Notre Dame kid. (I know Bob Fitzgerald will always love him for that but seriously). With Jeff Samardzija, we have a wide receiver on the mound, and there is no getting around that. And the thing is, he has always been like this. A career losing pitcher, with a career record of 69–92. Not to mention we are paying him $90 million dollars. Sadly, that is more than Madison Bumgarner, by a mile. It might turn out okay if he pulls a Barry Zito in the post season, but high chance. Barry had swag on the mound, regardless of wether he had his stuff. Do you really feel that with the so called ‘Shark’? I’m seriously asking, because I do not. Where does that leave the Shark? Well, stick him in the bullpen, like you would any other pitcher who is performing like him. Is he exempt from regular rules simply because he is getting paid 90 mil? Seems like it. And it also seems like a lose-lose situation, where you are paying this guy and then also jeopardizing the success of the entire team. My genuine opinion is BUY HIM OUT. If they can get even a decent return on him, then DO IT! No team is dying to have Samardzija on their team. We don’t want our pitchers to ‘EAT’ innings. That is a plus if the game is won. But the point is moot if the game is lost. Pitchers must earn wins or put their teams in positions to win, on a consistent basis. Samardzija has not done that. His previous track record proves that and his experience in a Giants uniform only cements the feeling. Andy Suarez and D-Rod have proven themselves. Will the league study up on them? Yes. Will they adapt? Well, it’s worth a shot, and Samardzija, who has been in the league for nearly a decade+ has proven he cannot adapt. Even when playing in the pitcher friendly confines of At&t park….